When we bought this house, we inherited a lot of weeds. We've dealt with the agapanthus, and now it's the turn of wandering willie to make an exit. Wandering willie is an evil weed. 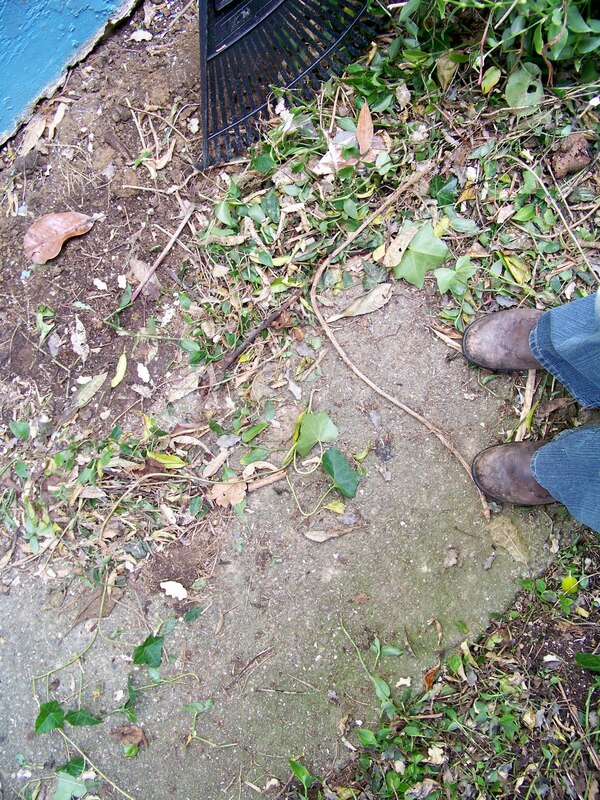 You can pull it out, but its vines are like a string of lego pieces stuck together that come apart when you pull it, leaving the roots in the ground. 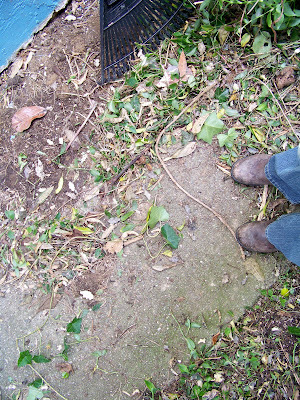 It's also a creeper that grows new roots along the length of its vine that grow into the ground wherever it touches soil. It grows in huge swathes that smother the ground, stopping native and wanted plants from growing and germinating. The only way to really get rid of it is to poison the bejeepers out of it, or get chickens. So on Saturday morning, Ange came over and pulled out as much of the green vines as she could, leaving dirt and roots and bits behind. I forgot to take a 'before' picture. 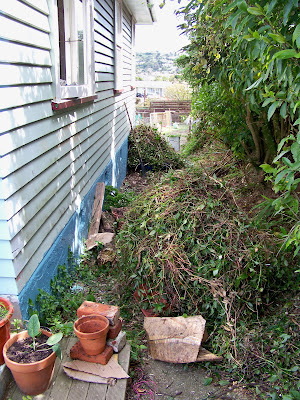 But this is after she'd got in there and dredged up all the vines. 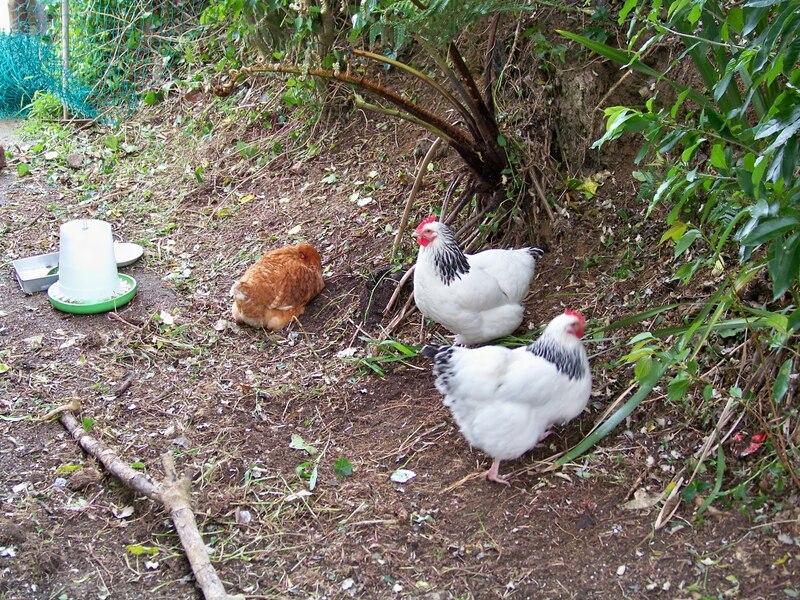 Then we took that to the dump and let the chooks in to start their work. They love digging and scraping through the dirt, so for a month or so, this will be their new turf, or lack of it. Hopefully, they will leave it root free, manured, friable and ready for the kawakawa, ponga and panuka I'm growing to plant in there.